Join 15 Now to launch a group in your neighborhood to educate, mobilize and help raise the movement for $15/hour to the next level! 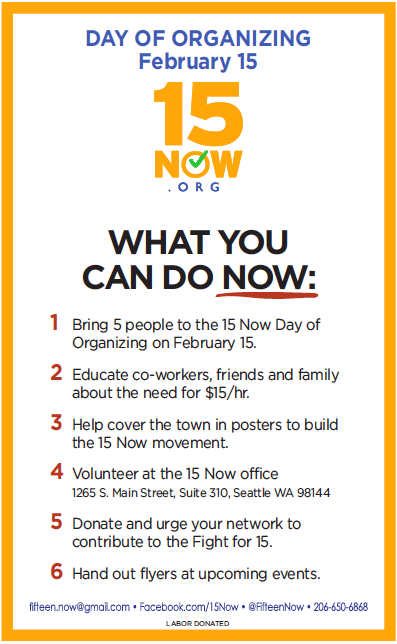 The Fight for 15 in Seattle has been gathering momentum, but winning $15/hour will require the active participation of thousands. 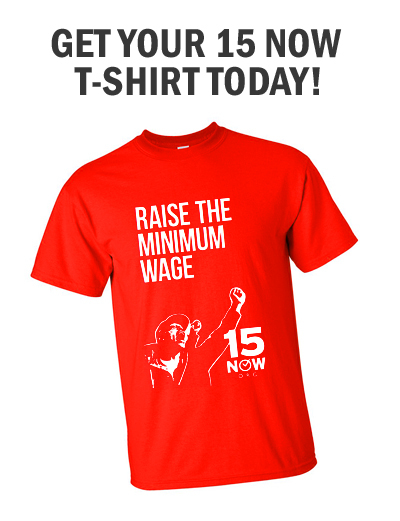 Big business will not let a $15 minimum wage pass without a fight. They will mobilize their resources to derail, delay, and dilute efforts to end the poverty wages that are the source of their profits. The only way we can counter the power of Corporate America is by building a massive grassroots campaign with local neighborhood and campus action groups, town hall meetings, mass rallies, and strikes.